Carlisle Flotation Bed Group with Fast Free Shipping! 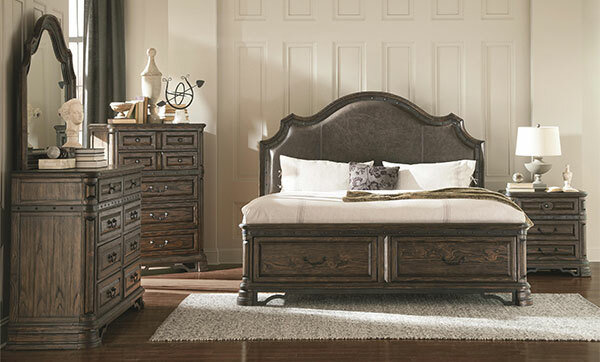 The Carlisle Storage Bed with Two Drawers in the Footboard and an Upholstered Headboard. Includes: headboard, footboard, side rails. (Does not include mattress). Mattresses sold separately. Storage Bed with Upholstered Headboard. Exclusive collection was inspired by antiques found from late 17th-century Spain that takes us back to those romantic castles from medieval time. Exaggerated traditional shapes and metal embellishments. Constructed of solid wood, tongue and groove veneered planked tops. Wire brushed in a rich, dark brown tone finish. Two drawers in footboard for extra storeage. 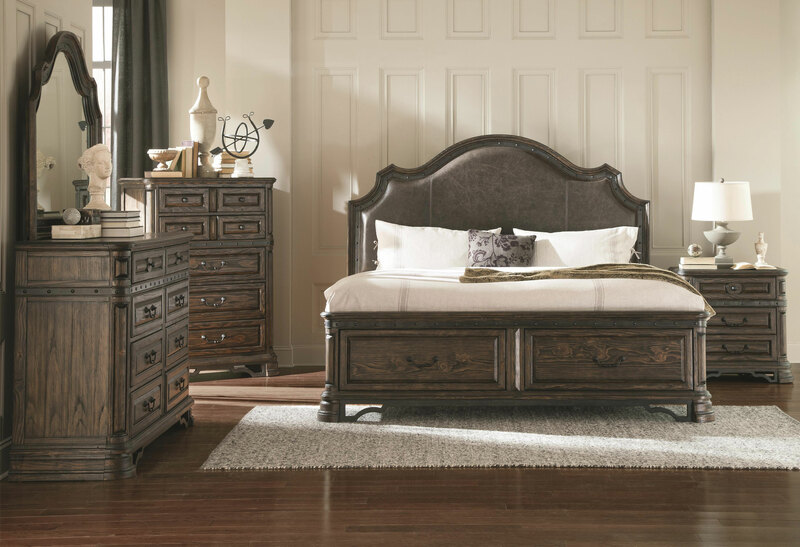 Includes: headboard, footboard, side rails, slats. (Does not include mattress). Mattresses sold separately. The Carlisle Flotation System includes: Storage Bed, 8" deep plush-top soft side mattress and 9" foundation for a complete modern flotation system. Available in Queen Size ONLY. The Carlisle Flotation System Includes: headboard, footboard, side rails, center support, premium full depth 8" mattress and foundation for a complete flotation system. Matching furniture available. Size: ONLY Queen 60" x 80"
The Carlisle Flotation Bed Includes: headboard, footboard with 2 storage drawers, side rails, center support. (Does not include mattress).